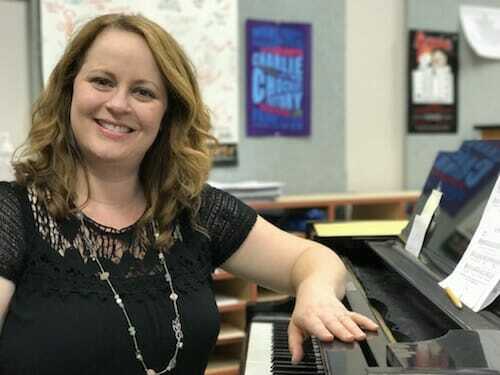 After receiving a Bachelor of Music from the University of the Pacific Conservatory of Music, Jessica began her career teaching elementary classroom and choral music in the East Bay. She began teaching in Mill Valley in 2000. Jessica has built the choirs from the ground up and into a large, award-winning program serving hundreds of students. In addition to teaching choral music in the schools, Jessica has been a vocal coach, producer, and assistant director for dozens of MVMS musical theater productions. Outside of MVSD, Jessica has taught private voice and piano lessons, and founded and directed the 142 Throckmorton teen vocal ensemble, “Throckappella” from 2009-2013. Jessica lives in Richmond with her husband, Jonathan, who is also an active musician in the Bay Area, and their two children.